Here is one from Down Under. 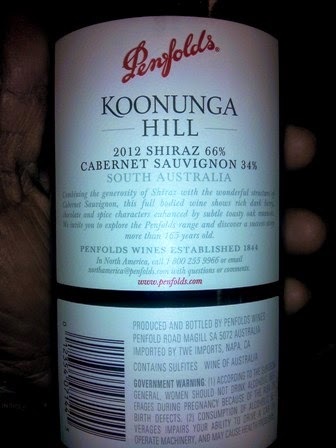 It's Penfolds Winery's blended wine that - 66% Shiraz and 34% Cabernet. Mixed on this one, the Winos give it a Neutral Rating. 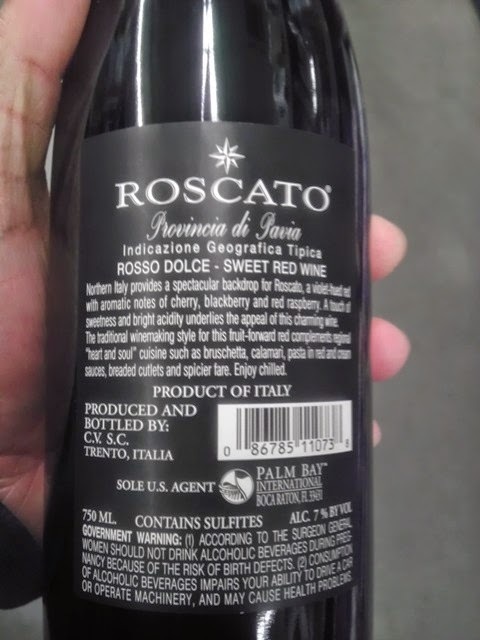 Do note that the price is low and the Alcohol Content is high at 13.5%! 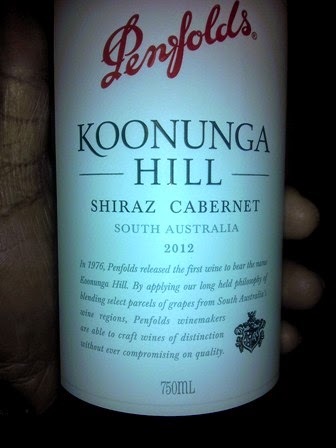 New one for the Winos; both liked this one. It gets a Good Rating. PS: Don't let the screw top throuw you. 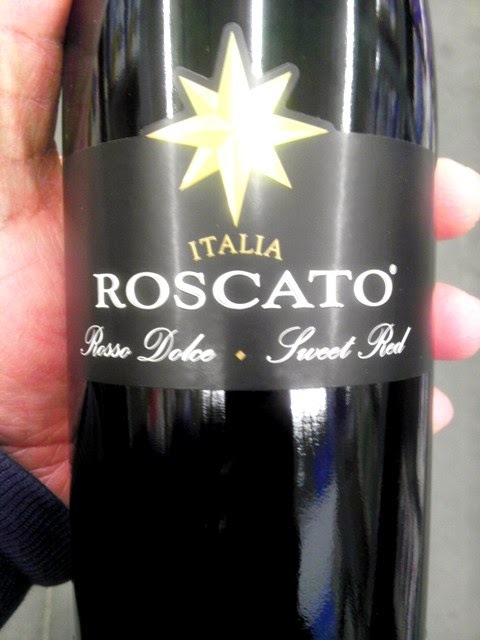 Tasty and sweet; only 7% Alcohol Content but still a go for the Red Wine Wino. - Additional notes: Screw top with bubbles! Red Wine Wino has a weakness for Chianti. So, going with the White Wine Wino's assessment, this one gets a Good Rating!